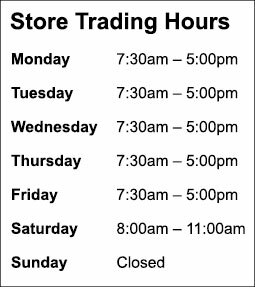 Water Dynamics Yarrawonga’s newly refurbished store is located in the i ndustrial area of Yarrawonga on Acacia Street with direct street access and drive through facility for easy customer pick up. With over 30 years of extensive irrigation knowledge in designing, quoting and installing irrigation equipment, from small home sprinkler systems to large broadacre and commercial installations, our experienced, friendly staff can provide irrigation solutions tailored to your needs. We specialise in T-L Centre Pivot and Lateral Irrigation Systems as well as being an Onga Pump Shop. Our Yarrawonga store specialises in broadacre pivot irrigation systems and are able to service, repair and install T-L centre pivot and linear irrigation systems. Our team has extensive centre pivot knowledge and are the first choi ce for T-L Irrigation Systems. 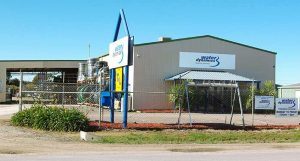 Water Dynamics Yarrawonga provides complete irrigation and pump service and repair solutions to complement our supply and service. We service and repair all types of irrigation systems, including preventative maintenance and breakdown on T-L centre pivot and linear irrigators. Our technicians are able to meet a large range of emergency service requirements. Our mobile service vehicles help to minimise downtime by bringing skilled mobile service technicians to your site promptly, with the necessary equipment to help you get your irrigation systems back up and running in no time. Our onsite services are supported by a fully equipped workshop located at our branch in Yarrawonga. Water Dynamics Yarrawonga understands the significance of ensuring your equipment has minimal downtime, so our team of service technicians work hard to get your equipment up and running to ensure it is durable for the remaining or approaching irrigation season. We carry a range of pipes and spares on site and this range is fully supported by our central distribution centre in NSW, where over $1 million worth of T-L inventory is held. Call us today on 1800 532 024 or email yarrawonga@waterdynamics.com.au for a quote. 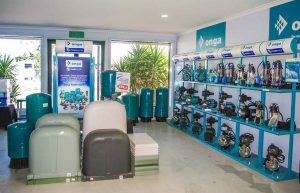 Our store showcases the biggest Onga Pump showroom in Northern Victoria with access to over 100 types of pumps and has an extensive range of industry leading brands for both residential and agricultural irrigation fittings and equipment at competitive prices. Our knowledgeable technicians are experienced in all aspects of sales, servicing and repairing all pump varieties suited for commercial and domestic applications. During the warmer months, lawns and gardens can become dry and lifeless, having a huge impact on the overall look of your home. From large irrigation systems to small sprinkler accessories, no job is too big or small for Water Dynamics Yarrawonga.